IF that old adage about learning more from mistakes than constant perfection is correct, then I must be coming close to genius level this year. I always allow for one navigation faux-pas per annum: It serves as a timely reminder that full concentration is required at all times in the mountains. But that’s twice in the space of a few months I have gone astray, twice that I have allowed myself to fall victim to over-confidence. The first happened on the innocuous Carn Bhac on the edge of the Cairngorms. I was taking two friends round a route I have walked so many times, and I hardly needed to take my hands out of my pockets. Then the mist came down and a fast drop off the back of the hill left me staring at unfamiliar territory. A few minutes’ confusion but we were soon on the way out, albeit by a slightly different route than planned. 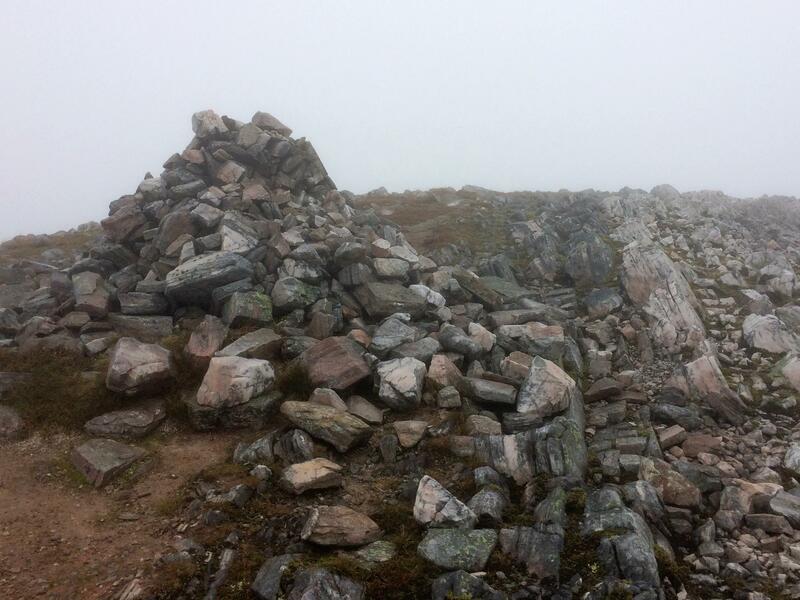 Blunder No.2 happened last weekend on a fittingly grey traverse of the Grey Corries ridge to Glen Nevis. 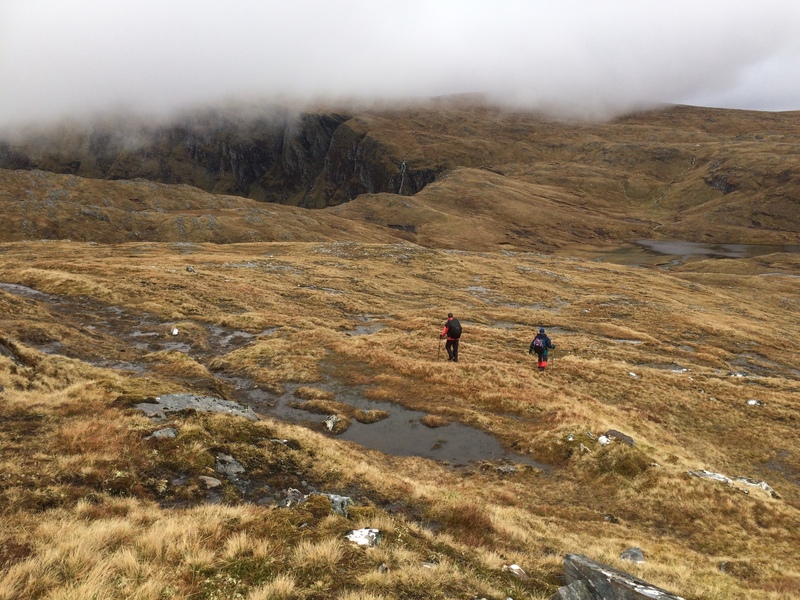 We had sauntered round in zero visibility for most of the time, six experienced mountain walkers, chatting away as we rose and fell over each consecutive top until we reached Stob Coire Easain. This is the turning point. From here we were dropping south to the col with the final Munro, Sgurr Choinnich Mor. We took our readings and continued off into the gloom, but within a few minutes of scrabbling around in the rubble, one member of the party suggested something was off. A short conference, a GPS check, and we had sorted it out. We were slightly offline, only a few metres, but it was enough to be leading us further down than we needed to be. I had been convinced we were on the right line, but the last time I had followed this route it had been buried under a blanket of snow, and, as so often happens when you are walking in a group, the others were blithely following on despite their wealth of experience. Never mind the charity walkers charging around the country without a map, compass or any clue as to where they are, herd mentality amongst even the most experienced of parties can sometimes cause problems. Individually, every member of our party could navigate round a mountain range. Collectively, however, there is often a tendency to think that someone else has done the calculations. You know the other person knows their stuff, and it can induce a form of laziness, a failure to pay attention. No need for me to look at a map, they have done the readings and confidently pointed the way so why should I bother? When I am out on my own I am constantly checking and double-checking my surroundings. There’s no margin for error, no one to fall back on for confirmation. The same should apply when walking in a group. Do your own readings, consult the others and be prepared to state your case. Even the experts can get it wrong. I knew a mountain guide who led groups all over Europe without incident, but he told me he had once set off from the summit of a Scottish mountain in the wrong direction. Luckily, one of his clients had noticed the mistake and was brave enough to speak up. He was also guilty of going for solo jaunts in the mountains without a map and without telling anyone where he was going, and twice he nearly came to grief. 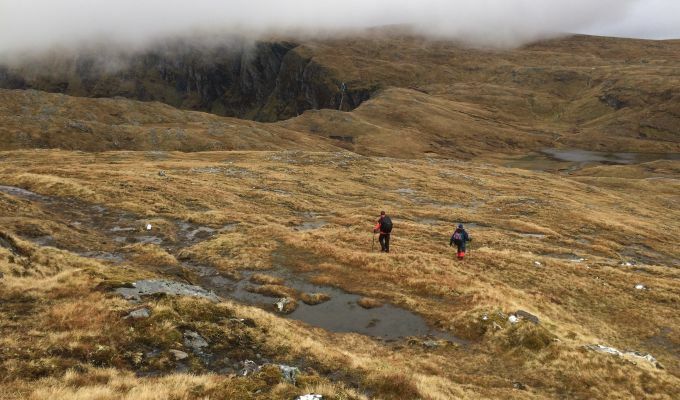 The growing number of novice walkers heading into the hills relying solely on GPS or phone apps is worrying. These tools work best when combined with a working knowledge of the landscape and the terrain. Everyone who ventures out should have a map and compass and know how to use them. National Map Reading Week runs from October 16-22. It’s an initiative to help improve all aspects and levels of map skills. Getting into trouble is something we all do at one time or another. Being able to getting out of that trouble is the key. There are plenty of outdoor centres that offer navigation courses. Attending one won’t take much time out of your life and it may even save it one day.